HYDROKEMÓS is a subsidiary from Dr. Canicio Consulting Chemist S.L., 25% of stock equity is held by Abisum S.L., Venture Capital Company. HYDROKEMÓS is currently a spin-off in IQS (Barcelona) where is its R+D+I department and laboratories. HYDROKEMÓS is a highly innovative SME specifically incorporated to improve and commercialize a novel electro-denitrification technology applied to water treatment. 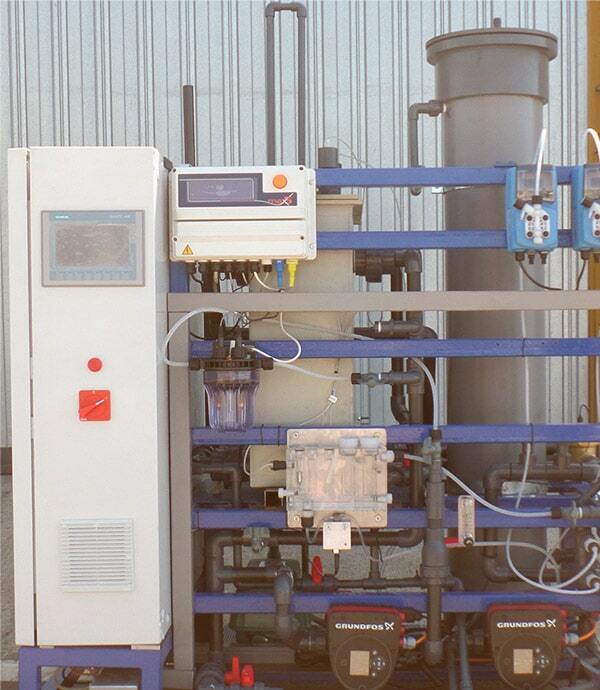 This technology removes nitrate from water but does not generate brines or other waste. HYDROKEMÓS is the result of ten years focused on investigation by Dr. Canicio Consulting Chemist S.L., a company with 28 years of experience in development of new processes and technologies in the fields of fine chemicals, natural extractions, environmental remediation and water treatment. The electro-denitrification process has been developed after ten years investigating possible methodologies for efficient nitrate –any form of inorganic nitrogen– removal from water without producing waste. This investigation begun in 2004 and ended up in 2011 with the discovery of electro-denitrification. In 2012 HYDROKEMÓS began operating laboratory prototypes for validation of this technology and commercialize it. From 2012 until 2015 HYDROKEMÓS focused all efforts and personnel in progressive development and scaling of electro-denitrification.